Welsh Tree Service began in 1982. We are now celebrating our 30th year in business. 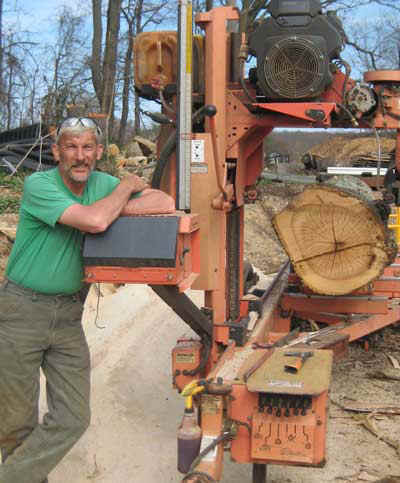 We are a complete tree and sawmill service operating out of Chester county PA, located in east Fallowfield township. We are now specializing in custom portable sawmill services. Our mill is completely portable and can be set up at your site to saw your logs into lumber, beams, fire place mantels or what ever you have in mind. By being portable, that takes the moving, loading and hauling of the logs to the sawmill out of the equation which in turn saves you money. The mill we use is a fully hydraulic Woodmizer LT-40-HD. The LT-40 utilizes thin kerf technology which saves more of the log for lumber than turning it into sawdust. Welsh Tree Service also purchases hardwood logs and sells rough cut lumber. We stock a good selection of native hardwoods in log form. 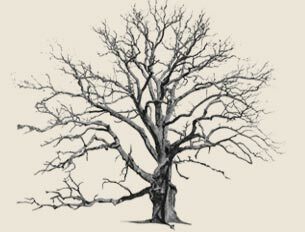 Some of the species we stock are Oak, Walnut, Cherry, Poplar, Maple, Ash and Hickory. We have specialized equipment to log smaller lots and move logs with the least amount of impact to the surrounding area. Our services include custom sawing, tree removals, stump grinding, logging, land clearing and timber framing using your logs or ours. We also create custom made tables and benches in free form design. Please feel free to contact us. Your satisfaction is my goal, I take great pride in my work.